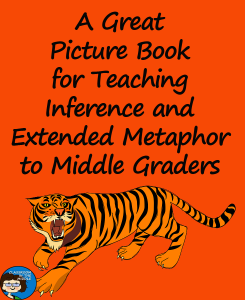 Riding the Tiger, by Eve Bunting, is great for teaching inferences and extended metaphor! Riding the Tiger is the story of ten-year-old Danny, who is offered a ride through his city neighborhood on the back of a tiger. He would like to take the ride, but says that he has to ask his mother first. The tiger replies, “If you do, she won’t let you.” Danny makes a choice, and hops on the tiger’s back. He sees people stepping out of their way, and at first he interprets this as respect, but eventually he recognizes it a fear. At one point, a police officer pulls up alongside the tiger and warns Danny. He says that it will be very difficult to get off the tiger’s back later, but he also says, “If you get off fast enough, it’s still possible.” Finally, Danny sees an old man who is injured by the Tiger’s actions, and he makes the difficult decision to jump off. Clues in the story, such as graffiti on the walls and the tiger’s mention of his colors, can be used to conclude that the riding the tiger is a metaphor for joining a gang. Kids might also suggest that it is about getting involved with drug dealers or another dangerous group. Throughout the book, there are lots of opportunities to make inferences about just what is going on with Danny and the tiger. 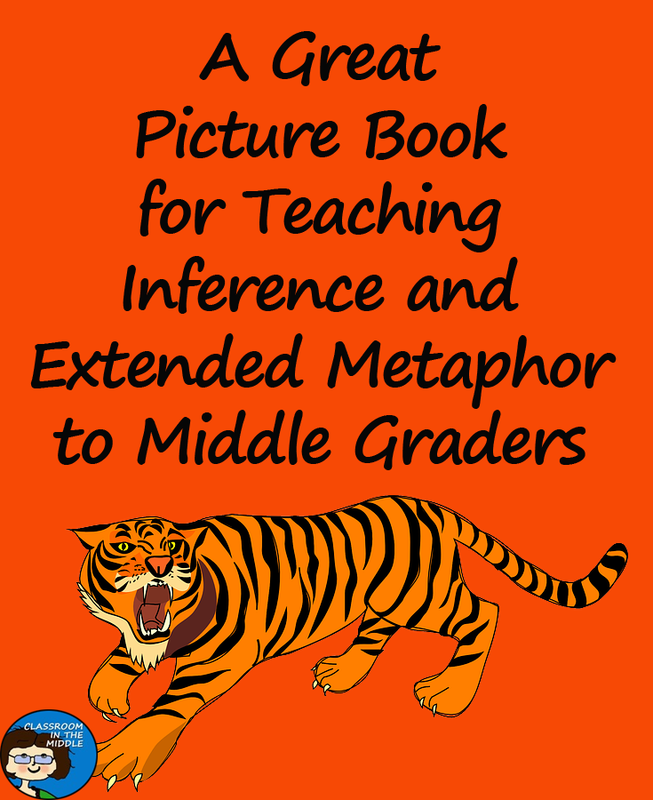 With its woodcut illustrations in bold red, black, and orange, this is a great picture book to use with older kids.